Outdoor fun, engaging physical activity and new friends are some of the ‘ingredients’ that go into making the perfect kid’s day out. 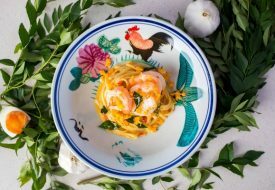 But what if there was a way to blend all that while imparting precious life skills and values, especially during your child’s growing stages? Golf is a great way of introducing children to invaluable lessons in life, competition and socialisation, amidst the environment of a relaxed, non-contact yet goal-driven sport. 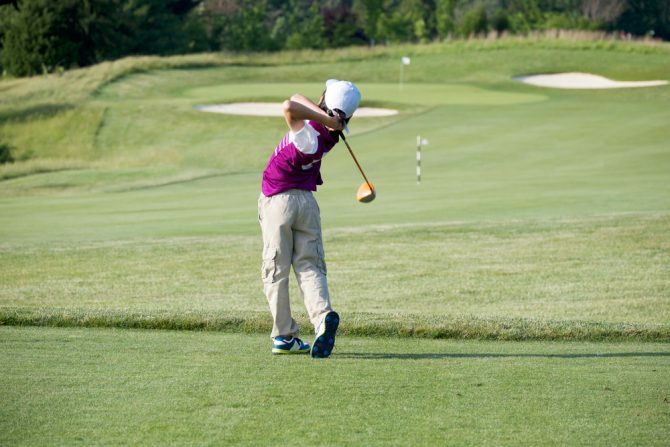 Here are five ways kids can benefit from golf while still having a ball of a time. In this non-contact and solo sport, the golfer is trained to set their sights on a single hole. 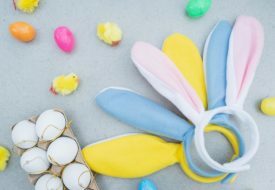 This practice can help discipline the child’s mind to focus on a singular goal while blocking out external distractions. There’s nothing quite like seeing the joy on a child’s face when they’ve accomplished a task they set out to do. With a visible end-goal and a focused mind, golfing can bring a strong sense of achievement and motivation that spurs higher target-setting. This is supplemented by fun scoring systems in enrichment classes at TottsGolf, where kids are instantly rewarded during engaging target practice with exciting prizes and direct encouragement. Golf is a sport built on honesty. Golfers play the ball from wherever it lies, because that’s the only way the final score will be an accurate reflection of their abilities, and for the player to feel a true sense of pride and accomplishment. This is a great way to instill integrity and the spirit of sportsmanship in young players, especially in the course where the only real judge and opponent are their own selves. With personalised coaching, golfing for kids can be a great way to build up their self-confidence. At TottsGolf, each class has a maximum 3:1 student-to-coach ratio, ensuring that each child gets equal and personalised coaching, attention and encouragement. What’s a sport without some physical fun and active learning? 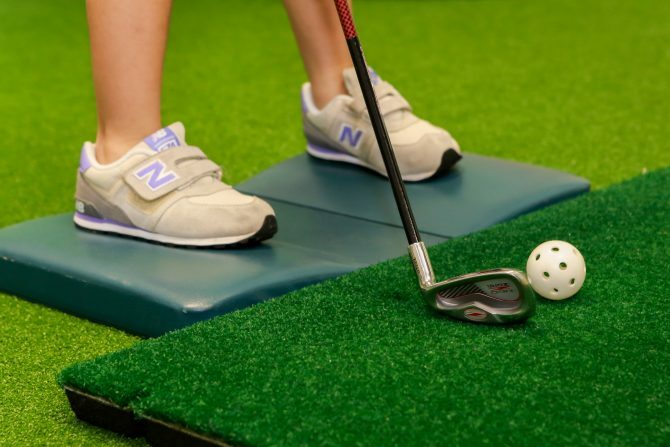 But strength isn’t the key component in excelling in golf; instead, the sport calls for alignment and fine-tuned coordination in order to deliver an effective putt. Golf enrichment courses not only teach children these necessary skills to play golf at a young age, but do so in the safety of fully equipped indoor classrooms until they develop the ability, confidence and understanding to golf out on the course. TottsGolf’s curriculums were developed by PGA professionals and education experts, and have been endorsed by renowned PGA professionals and coaches. 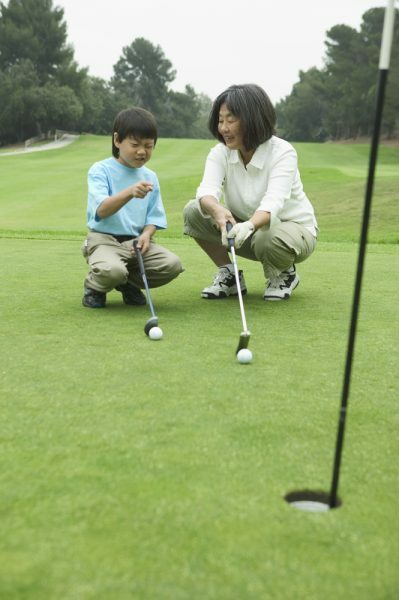 Curious about how to get your child into the world of golf? 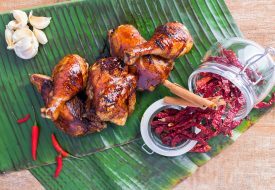 Try it out on this day of outdoor fun at East Coast Park on 26 Feb at the Sandbank. 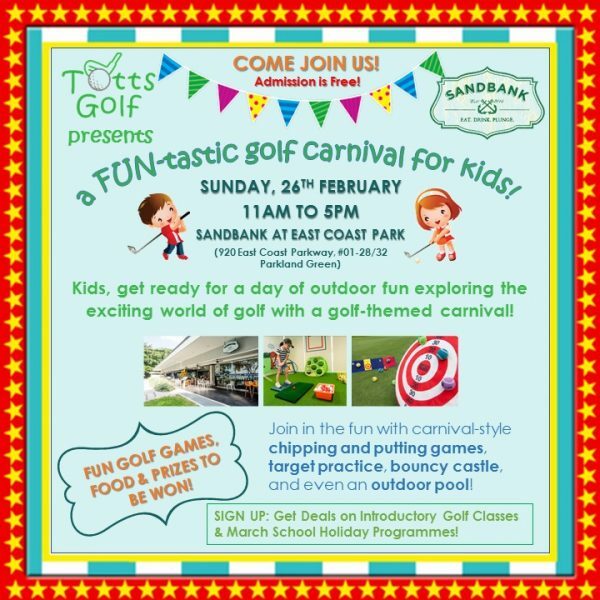 Organised by Totts Golf, a children’s golf school for kids aged two to seven years, this golf-themed carnival will bring fun games, food and prizes to be won. 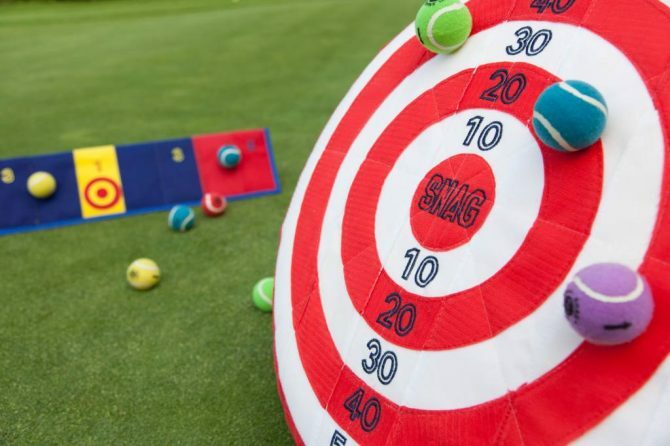 Guided by trained golf instructors, kids can try their hand at chipping and putting stations, target practice on colourful bullseye boards and a host of other fun games and activities that will keep them entertained while picking up a skill or two. They will offer an Introductory Package of three lessons at $150 (regular price $190) . This offer is only available at SandBank event on 26 Feb if participants sign up on that day. 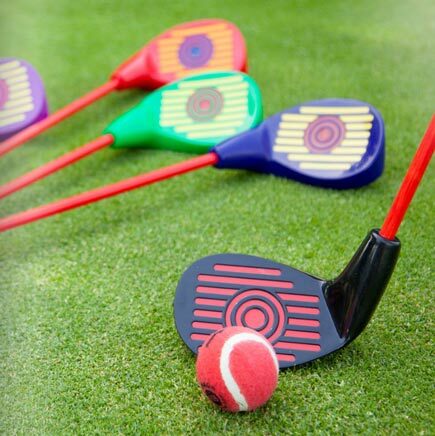 For more information or to request a trial class, please visit www.tottsgolf.com, contact TottsGolf at 6909 2186 or email: info@tottsgolf.com. Brought to you by TottsGolf.